Kidding, just looking for any recommendations or preferences as to what everybody installs after doing a fresh windows install, but prior to making a new image for easy restoration. That is about all I am thinking of at the moment. Any input is welcome, whether that is adding more to my pre-image install or removing some of my currently planned items. Also tried cloning via DD with Ubuntu Live disc. My guess is because the original install was via MBR (the way computer came pre-configured from ibuypower - don't think that was correct) instead of GPT and these programs were just not getting the whole boot thing copied correctly. Could also just have been Windows install getting flaky after all these years. (think it is just shy of 3 years) All those cloning programs were just super crash happy. Crashes taking down windows completely. Haven't had ANY programs crash windows 8 on me previous to this. Anyway, after 2 or 3 nights after work of trying to get that cloned I finally just said screw it, RE-INSTALL TIME! Anyway, any input is very appreciated, and thanks in advance! edit: Any opinions on Samsung Magician software that is included with the drive. Does anyone find it useful or necessary? Or is it just some more bloat to be running? I don't know. I feel tired. Seriously though, I don't see the point of making a Windows image with a lot of extra programs. These programs will get old fast. Someone on another forum said that software is a consumable. Eat it and enjoy it while it lasts. Hardware changes, software changes, the perfect Windows image will soon be obsolete. Make back-ups so you can reinstall if need be. I don't believe in the perfect OS image anymore. The less programs you include the less "bloat" you have to remove when your preferences changes. I love stability, but software is an ever-changing roller-coaster. I have seen so much change the last ten years; I'm wondering what's driving all this change. New hardware, new web/software technologies, bored developers, corporations seeking "lock-in" advantages. If you have registered your computer with Windows 10, you can just grab the latest ISO from Microsoft when you want to reinstall. This is one (of the few) advantages with Windows 10. Microsoft is always serving fresh ISOs. If you download a Windows 7 ISO from Microsoft you get the 2010 version and Windows 8.1 is the 2013 version. That's so bad. Microsoft really hates these OSes with a passion. Back to topic: Make your own Windows 8.1 image, but include only Windows updates and anti-virus. Everything else is likely to change from now until the time you need to reinstall your image. Get yourself something like Acronis True Image ....and have daily [as I do] or weekly/whatever incremental updates to 'the ideal drive image'. You can always keep particular full images that you 'like' as being complete/workable....but still keep on having incrementals. You certainly make some fair points. Many of the items I am thinking of including had not changed since the computer was new. Some software, like the mouse and keyboard software I let get old as it works perfectly for my needs. In those cases I see no need to the latest and greatest for no other reason. Mostly the same with things like VLC and 7zip. If not some real reason for an upgrade I tend to leave those alone. Chrome and Firefox update in place good enough that they don't concern me being old on the image. It is a good thought to look at how often I update the software as to whether to include it in the image or not. Anything I keep regularly updating is probably a good candidate to join a cloud list for installing immediately after starting from a fresh image. If I remotely knew how to use photo editing software that would probably make the list. As it is, MS Paint gets me by for my very low needs- basic cropping of pictures is the most I do. 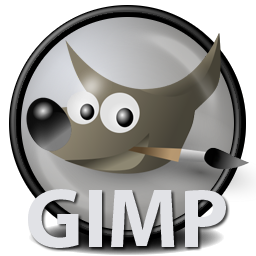 Is that gimps actual logo? If so, I love it! I will consider that. I may first try some of the other packages I had downloaded, or in the case of the Samsung software, came with the drive. Now is probably a particularly good time to see if it was the software running on my hardware that was flaky, or just my former windows install. Do you have the Acronis software backing up a certain number of images and then starting to overwrite? So a couple of favorites and then a running log of 5 or 10 previous builds that cycle? Added another bit to the end of my OP for anyone who has already read the original post. Wondering if the Samsung Magician software that comes with the SSD is worth the install. It is not the Data Migration Software, but supposedly software that is used to keep the drive in good order and running fast. My main question is whether or not this is a useful/necessary piece of software, or just some included bloat? That sounds pretty ideal. Have you tried other similar software to Acronis and liked Acronis better? Or just tried Acronis from the get-go and are happy with it? Yes, prior to that it was Drive Image 7 ...but it was slow with compatibility to a new OS [or hardware...don't remember which] so I moved on to Acronis. Acrobat reader is not a browser it is basically made to read different software. The advantage of reading is so you can't write anything. They used to use edit. I have no idea why they changed. Yah no real reason program. If you are going to use these programs then I see a reason to include them on a image. When you start the new ssd change the download location to your new harddrive only installing what you want on you ssd drive that will save you some heartache on maintaining things. Only bring what you use on a fresh install. It will automatically update obsolete software. This is faster than downloading everything. I would make sure to have some virus checker right off the bat. From what I read Avg, or Bitdefender are the two best free virus checkers. Bitdefender is the best virus checker out there. a. don't read all pdfs equally. I have seen way to many where the pdf is displayed incorrectly. b. don't have as good searching and printing setups. I use a lot of pdfs, I keep all of my home bills archived via pdf. I also keep my business files stored that way as well, and have access to those via my home PC. Don't think it was me who mentioned pdf readers previously, but of course anything is possible! The PDF reader was in my consider section, and has since moved into my - install after restoring image section. The same with AV software though as well. I feel that updates much to often to be committed to the image. That will just be one of the very first things installed after restoring an image. And yeah, BitDefender is what I have been using for the last year or two. Any software I install very early that is not apt to update often. Any software that is not apt to have updated at all. There are very few of these. Probably would be more on my work computer, where I have some more specialized programs. MS Office 2010 (with updates) - This isn't something I'll be getting rid of, and certainly won't have much in the way of updates, beside possible security updates. Keyboard/Mouse/Webcam software - These I don't update often, or at all, so they are getting installed. Think that mostly sums up the plan, purchased Acronis True Image 2017 today, and basically ready to make my image tonight, and then will need to move to the next section. I have been holding off on many of my software installs waiting on making the image. And was waiting on making the image while considering things. Computer has actually been off for a few days, think that is the longest it has been turned off in quite a few years! I have started a spread sheet, sorted by install order, of all the software I'll either install or consider after restoring a fresh image. It also contains notes about changes/custom configs so I won't need to reinvent the wheel everytime. Well at least not have to remember to reinvent the wheel. I'm keeping that in my cloud drive for ease of access and ease of editing where ever I happen to be when thinking of something to add. I'll second the recommendation to use both Acronis True Image & SyncBack. The default settings for both are what most people would want, though they can be modified; the user just has to select what drives/folders/files to back up & select a destination. The destination for Acronis should not be the same as the destination for SyncBack. It's hard to have too much redundancy in backing up. I end up needing to fill in a lot of PDFs, and I've yet to find one of the small quick programs that does it without any hassles like the official Adobe app. I could probably get away with it on my home computer as I don't do that nearly as often as at work, but I do prefer to use mostly the same software between work and home when I can. And thanks for the other recommendations! I do use Mega now, but hadn't thought about using multiple accounts to increase my space. May look into that. For installing multiple programs at once in the background, I have heard Ninite is very good. It installs the latest versions and can also be used to update programs. You choose programs from a list and it installs them all at once in the background with no extra crap.